If you need a safe haven on the internet, where the pipes are open and the freedoms are plentiful — you might want to move to Estonia or Iceland. The latest “internet freedoms” rankings are out, courtesy of Freedom House’s annual report into the state of internet freedoms and personal liberties, based on rankings of 65 countries that represent the vast majority of the world’s internet users. Although the U.S. remains firmly in the top ten, it dropped a point on the year earlier after a recent rash of changes to internet regulation and a lack of in the realm of surveillance. Last year, the U.S. was 21 in the global internet freedom ranking — the lower number, the better a country ranks. That was behind Estonia, Iceland, Canada, Germany and Australia. This year the U.S. is at 22 — thanks to the repeal of net neutrality and the renewal of U.S. spy powers. It was only in June, after a protracted battle, that the Federal Communications Commission finally pulled the plug on the Obama-era rules that guaranteed the free and fair flow of internet data. 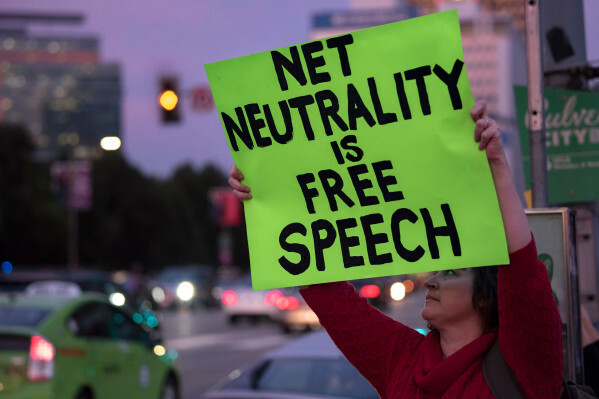 Net neutrality — which promises to treat every user’s traffic as equal and doesn’t prioritize certain internet users or services over others — was dead. That was despite months of delays and a scandal that embroiled the FCC’s chairman Ajit Pai for allegedly lying to lawmakers over a falsified denial-of-service attack that he used to try to stifle criticism of his repeal plans. What did happen was an onslaught of citizens demanding that the net neutrality rules. But that was eclipsed by an astroturfing campaign that even used dead people to try to swing the decision. What also dropped the U.S. a point was the near-clean reauthorization of the government’s surveillance laws, which passed with little debate despite a call for change. It was the first time to reel in the government’s spying powers since the Edward Snowden revelations a half-decade ago — but lawmakers buckled to pressure from the intelligence community, despite recognizing a long history of abuse and overreach by U.S. spy agencies. Freedom House called the law’s renewal “a blow to civil rights and privacy advocates,” who advocated for change since long before Edward Snowden had a face. A single digit drop in ranking may not seem like much, compared to the last-place contenders — Iran and China, predictably ranking in worst, but many see the U.S. as a beacon of free speech and expression — a model that others aspire to replicate. As the report found, that goes both ways. The U.S. has its part to blame for the decline in at least 17 countries where “fake news” has been co-opted by oppressive regimes to justify crackdowns on dissent and free speech. The rise of “fake news,” a term largely attributed to Donald Trump — then a candidate for president — which spread like wildfire — and across borders — as a way to reject reported information or factual current events that were derogatory to a person’s views. In other words, it was a verbal hand grenade, lobbed whenever a person heard something they didn’t like. Now, other regimes are cracking down on internet freedoms under the guise of fighting fake news. Philippines and Kazakhstan were both named by Freedom House as using “fake news” to restrict the internet by removing content and stifling the spread of views in the name of fighting misinformation. While many might not care much for a country you know little about, it’s a reminder that the U.S. is still seen in high regard and other nations will follow in its footsteps.